Why Do You Need a Trademark in the First Place? Although creating a business name, logo, or any other distinctive mark and using it in commerce establishes certain rights and protections under common law, it is by far better to register your marks with the United States Patent and Trademark Office (USPTO). Registering a trademark gives your company the exclusive right to use that mark for certain products or services nationwide. Exclusivity is essential because it prevents customer confusion. By aligning your products or services with a mark that only your business can use, you are able to build the reputation and brand loyalty that you will need to be successful. What’s the Difference Between a Distinctive and Descriptive Mark? A mark must be distinctive to get trademarked. This means that the mark should be recognizable to your customers as representative of your product or service. The most distinctive trademarks are those with “arbitrary” or “fanciful” names. Arbitrary names are common words used to identify a product or service that is not related to the word used. Apple is a good example of an arbitrary mark. The word isn’t obviously related with the computers they sell, so it is distinctive. A fanciful name is one that is made up. Zillow is an example of a fanciful name that is distinctive. On the other end of the spectrum are descriptive marks. Contrary to distinctive, a truly descriptive mark cannot be a registered trademark at all. There is some middle ground, however. If an applicant submits a trademark registration for a mark that is largely descriptive, but not so much so that it would be rejected, the mark may be placed on the supplemental register, rather than the principal register. Although you submit your application for trademark registration in general, there are actually two different registers where your mark could end up: the principal or the supplemental register. Both confer certain rights and protections, but the principal register extends additional protections that make it more desirable. The principal register is reserved for the most unique trademarks -- the ones that are truly distinctive. Once approved for the principal register, a trademark holder has a presumption of ownership throughout the United States. What this means is that, in any legal challenge over trademark ownership or infringement, the trademark holder is presumed the owner. The opposing party would then have the burden of rebutting the presumption and proving that you are not the owner. This is particularly difficult to do, so the trademark holder often wins. How Does Your Mark End Up on the Supplemental Register? As described above, only the most distinctive marks are placed on the principal register. If your mark is in any way descriptive, it is likely that it will end up on the supplemental register. But wait, don’t panic. There may be some good reasons to use a descriptive mark, and it’s not too bad to find your mark on the supplemental register. Some companies choose to use a descriptive name because a name that clearly describes the goods and services offered can be a smart marketing strategy. However, this marketing benefit comes with some trade-offs. Trademark holders on the supplemental register have no presumption of federal ownership. In litigation regarding trademark infringement, the trademark holder will need to prove that, in the relevant jurisdiction, customers are familiar with the product or service and associate the mark in question with that company’s product or service. Getting a trademark placed on the supplemental register does not mean that the mark has no federal protection, however. The trademark owner can still use the ® symbol to put other companies on notice of the trademark registration. The USPTO will also take that mark into consideration when approving future applications, which will continue to protect the exclusivity of the name. The trademark will also be searchable on the USPTO website, which may prevent other companies from using the same name. Finally, registration on both the principal and supplemental register provides the trademark holder with the basis to register the mark outside of the United States. Can a Trademark on the Supplemental Register Ever Get Upgraded to the Principal Register? Yes! It is possible to be upgraded from the supplemental to the principal register by showing that a previously descriptive trademark has become distinctive. To show that a trademark has acquired distinctiveness, the trademark holder would need to file paperwork showing at least five years of continuous use. One of the best ways to ensure that your trademark will make it onto the principal register is to consult with a business attorney early on in your company’s development. We offer a FREE 15 min. consultation that can help you choose a name that is likely to get onto the principal register and can guide you through the application process. 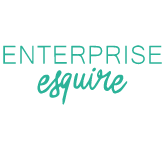 At Enterprise Esquire, we provide flat-rate trademark legal packages to help guide you and your business through this process. Click here to take a look at our value-packed trademark services. We look forward to working with you!